If you’re a seasoned jailbreaker, then you know not to immediately jump to the next iOS the moment it’s available. You watch and wait, and make sure there’s an appropriate jailbreak for this version before you update. If you’re a newbie, however, you might not be well-versed in how all this goes. If you’re planning to get it, you’ll want to be prepared by backing up everything on your device. iTunes automatically backs up your official apps and data (or you can right-click or control-click on the device in the left sideboard of iTunes, and choose “Back Up”), but if you’re a Cydia fiend, that obviously won’t cover everything. 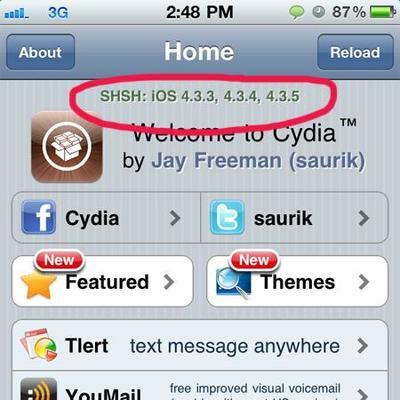 Are you planning to jailbreak iOS 5? What’s your plan of attack? Upgrade the software on your device and just wait for a jailbreak, or will you wait entirely until the exploit’s available? Let us know what you’re planning to do, or if you spot anything else that should go on the list.